Volunteering as a youth football coach can be a great experience, both for you and your squad. But what if you ve never coached before, or want to improve? Don t worry! 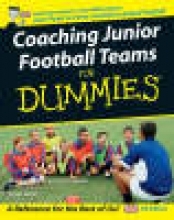 This friendly guide explains football rules, shows you how to approach coaching, and gives you practical pointers on improving team skills and encouraging good sportsmanship.